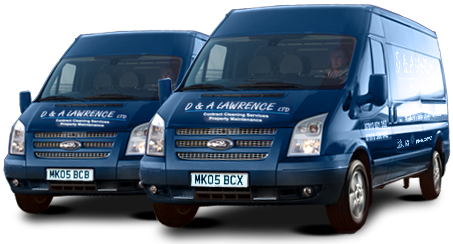 At D & A Lawrence Ltd all of our technicians are highly trained and experienced in using ladders and have undergone rigorous training and safety courses. Ladders have traditionally been the most common way of reaching high windows, although other means such as the Reach & Wash System is now the much more preferred method due to health and safety reasons. 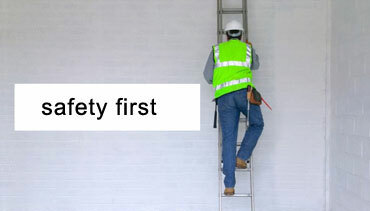 Additional potential problems to be thought about when working with ladders are extreme weather conditions and irregular and slippery surfaces. We are aware of the increasing complexity of legislation surrounding the use of ladders and the desire of many companies to look to use alternative safer methods in their workplace. Before performing any job, we will after an initial site survey, carry out a risk assessment and method reports to guarantee that the ladder being used for accessing high windows is secure. 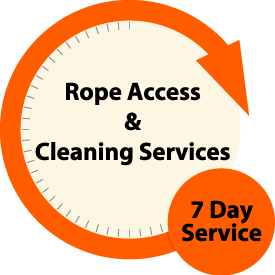 We will always advise and suggest to our clients of the safer alternative methods available that will provide the same results, but most importantly, our clients can be assured that a reliable way is being implemented at all times. Ladders, however, are still widely used within the residential window cleaning industry and we are in a position to securely reach and clean windows to around 40 feet from ground level. All ladders used by D & A Lawrence Ltd are checked for defects before use, and regular documented inspections are also carried out. 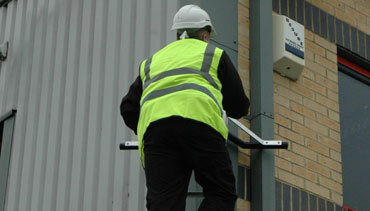 Our technicians are experienced and competent to BS6037 Cradle standards to operate various types of cradle systems. Each cradle system is unique in its self. 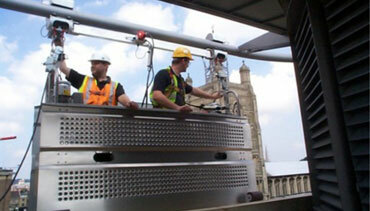 Therefore, we ensure all of our technicians involved in cradle cleaning work are wearing the correct (PPE) Protective clothing, receive demonstrations and instructions from our client site-specific managers to meet safety regulations. We remind our clients that the condition of the cradle equipment is based on the installation being checked over before any commencing works and is satisfactory for operations.